Christopher Blevins made the most of his opening weekend as a professional on the mountain biking circuit. The Axeon Hagens Berman Cycling Team rider followed up his win in the cross county race Saturday at the Fontana City National Cup with another one on Sunday in the short track. 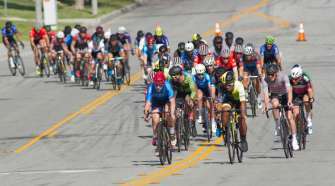 That gave the 19-year-old from Durango, Colorado, a perfect 120 points and the lead in the USA Cycling US Cup Series. Blevins’s win in the 15-minutes-plus-three-laps race on Sunday was much more frenetic than the 94-minute race Saturday that saw the dry and dusty, rock-lined course take its toll on the field. Several competitors succumbed to the challenging conditions, including multi-time national mountain bike champion Todd Wells. The 42-year-old crashed heavily Saturday and suffered a mechanical issue Sunday. 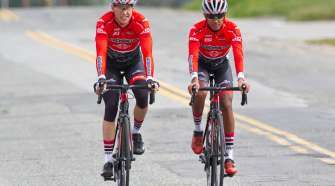 The reigning national junior mountain biking champion finished 13 seconds ahead of runner-up Jerry Dufour (Bear Development Team), who edged out Wells (SRAM-TLD Racing Team). 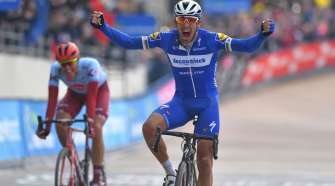 On Saturday, Blevins won by 34 seconds and was more than two minutes ahead of the rider in third. Blevins rode his Specialized S-Works Epic full suspension bike Saturday in the cross country race and his S-Works Epic Hardtail on the short track. 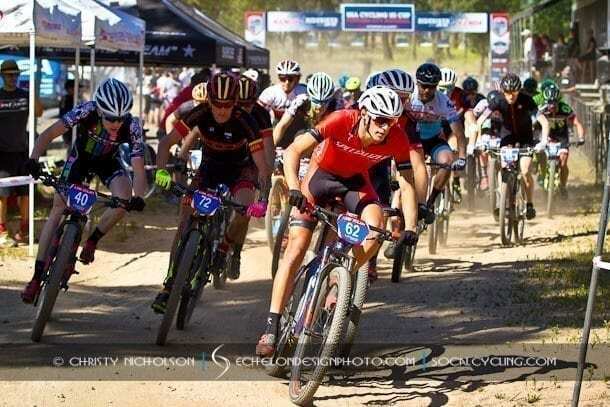 Next up for Blevins is the second event of the US Cup, the Bonelli Park XC in San Dimas next weekend.